Made of durable stainless steel, this design is the perfect, simple accessory to any outfit and any busy lifestyle. 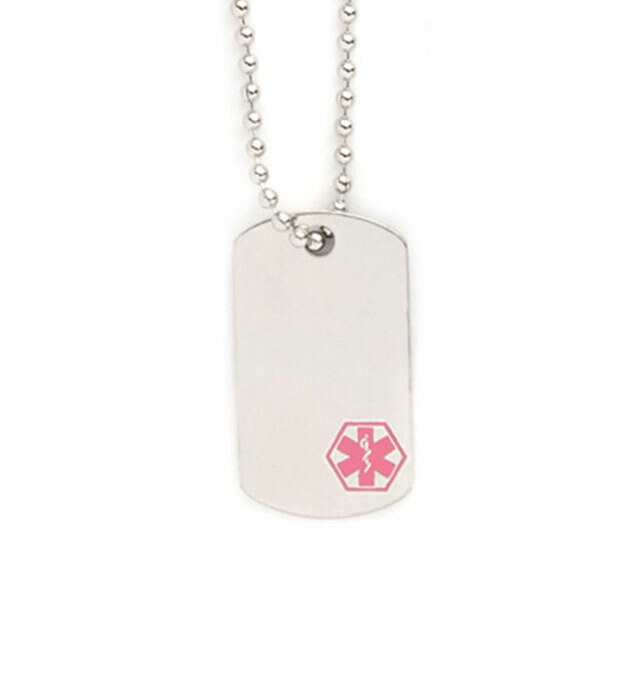 This medical ID dog tag measures 1 ½” long by ¾” wide. This medical ID necklace measures 18” and is easy to cut down to size for children or use as backpack loop. This medical ID necklace measures 18” and is easy to cut down to size for children or use as backpack loop.